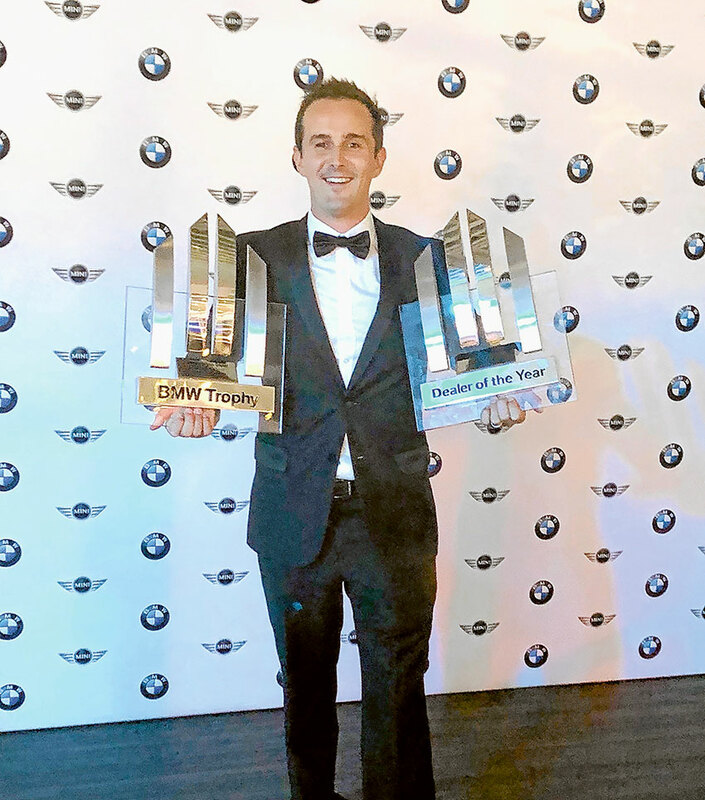 AWARD WINNING SMILES… Shepparton BMW dealer principal, Aaron Brain with the 2018 Rural Dealer of the Year and 2018 National Dealership of the Year trophies awarded to the dealership recently. Photo: Supplied. MORE than 100 representatives of BMW dealerships from across the country were witness to the local Shepparton dealership taking out the 2018 Rural Dealer of the Year for a fourth consecutive year. But what was more impressive was that they were also named the 2018 National Dealership of the Year. Every BMW dealership was represented at the special event held at Crown in Melbourne, but the other 45 dealerships were no match for Shepparton BMW. Shepparton BMW dealer principal, Aaron Brain said, “It was such a surprise to get both awards. It is great for our team, customers, clients and the town. Shepparton BMW as a regional dealership and a brand that can match it with the big guys. “Getting the national award is a fantastic achievement. We had the highest customer satisfaction rating across Australia. It’s a great team effort. Our staff and the culture in our business is passed over to our clients and friends, which is what is so good about it.